How can diaspora communities from the Great Lakes region in Africa contribute to peace in their countries of origin? This question will be a central theme during the diaspora conference that The Hague Peace Projects (HPP) will organize in the first week of November. In the run-up to this conference, a first expert meeting took place on Wednesday, May 27th. 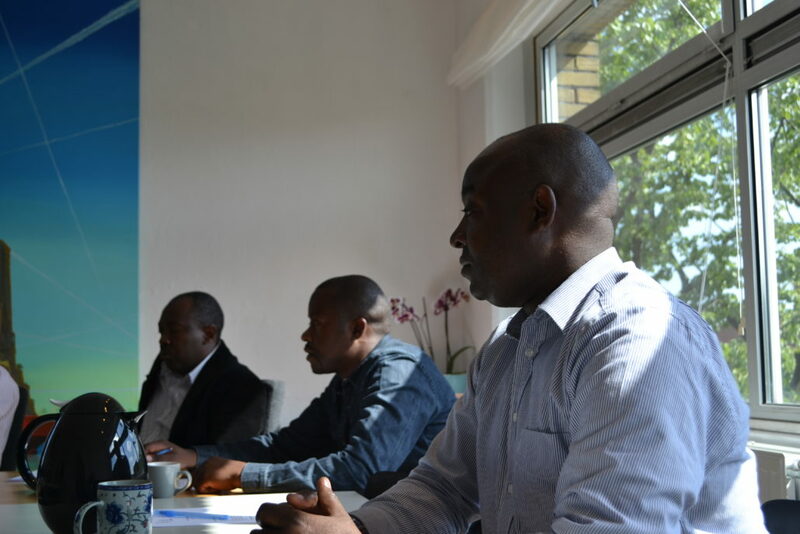 During this meeting a selection of representatives of the diasporas from Burundi, Rwanda, Congo and Uganda discussed the proposed themes and goals of the conference. First of all, the current situation of the conflict Region was evaluated and a short analysis was made about the root causes of conflict in each of the different countries surrounding the Great Lakes. Secondly, the question about the possible role of diaspora communities in Europe and ways in which it could contribute to peace was discussed. The invited experts agreed that, although there is already debate taking place on a small scale in Europe, there is a great need for a platform to meet and exchange views among the different diaspora communities. The recent history of The Great Lake Region, which is full of violence and suffering, is for many still a open wound. Not only for people living in the region but also for the diaspora living in the Netherlands. This prevents many people from speaking out. Many issues are still sensitive and a lack of trust between different groups among the diaspora communities prevents a healthy and open debate about the future of the region. The conference can contribute to establish mutual trust and cooperation among people who could become actors for positive change in the region. Increased debate and effective organizing could help to provide decision takers with accurate information, recommendations and initiatives to give a strong impetus to the peace process. The conference aims therefore to provide an free and common space for discussion where the voices of everyone are being heard. Much more use could me made from the knowledge and commitment of the diaspora communities to devise peaceful visions for the region. The conference will take place in The Hague in the first week of November, 2015.